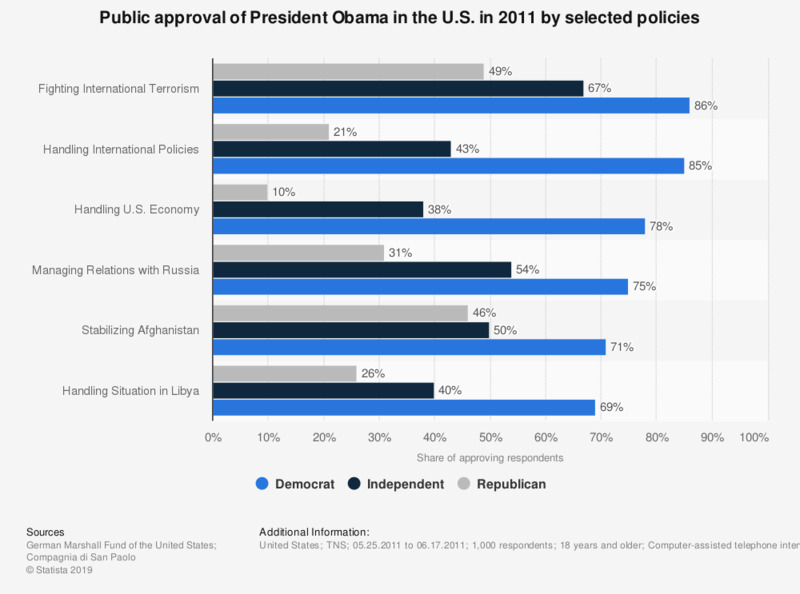 This survey shows approval of President Obama in the U.S. in 2011 by selected policies. The survey gives additional information about the political orientation of the respondents. Overall, 78 percent of the democratic respondents approved of Obama's handling of the U.S. economy. *The survey is a project of the German Marshall Fund of the United States (GMF) and the Compagnia di San Paolo, with additional support from the Fundação Luso-Americana, Fundación BBVA, the Communitas Foundation, and the Swedish Ministry for Foreign Affairs. In the next twelve months, do you expect the following issues to get worse, stay the same or get better? How much interest do you generally have in what is going on in politics...a great deal, quite a lot, some, not very much, or, none at all?